It's a classic healthy-eating tip: Fill half your plate with veggies. But which ones? The best approach to choosing the healthiest vegetables is to think raw. 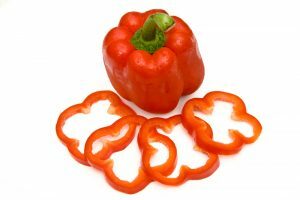 Healthiest vegetables? Take your pick, and, as many experts insist, if they're raw, all the better. We need to eat our vegetables, but information about how to prepare them can be conflicting. Cooking certain vegetables—winter squash, sweet potatoes, and tomatoes, for example—can release more nutrients. Others, however, are better for us if they’re eaten raw. It’s the latter group we’ll discuss here: six top veggies to enjoy in raw, fresh form. Still one of the trendiest and healthiest vegetables around, kale is popularly known as a superfood, and for good reason. This leafy green is a member of the cruciferous family of vegetables, which is unique for its high concentrations of glucosinolate, a plant compound shown to possess protective qualities against alimentary and lung cancer. However, the enzyme that converts glucosinolates to isothiocyanates (small, cancer-fighting molecules) is easily destroyed by heat, meaning that cooking this vegetable can actually offset its cancer-protecting powers. In addition to its cancer-fighting properties, kale is also high in calcium, beta carotene, and vitamins C and K.
Try this: To enjoy kale and all of its nutritional powers, simply chop it up and toss in olive oil with a little lemon juice and black pepper for a refreshing and healthy snack or meal. …that broccoli is one of the foods known to ease symptoms of gastritis, an inflammation or irritation of the lining of the stomach? Read about it in our post Gastritis Diet: Foods That Heal and Foods To Avoid. “Strong to the finish, ‘cause I eats my spinach!” Turns out our favourite sailor-man had it right (the evidence continues to support him! ): Popeye’s motto on the strength-fortifying leafy green has been shown to have a scientific basis. Both cooked and uncooked spinach contain twice the amount of iron as other leafy greens, as well has a high nitrate concentration which helps raise calcium levels to improve muscle strength. Spinach also includes folate, vitamin C, niacin, riboflavin and potassium, which are more available when eaten raw. Try this: Try blending spinach with apple, kiwi, and coconut water for a sweet and simple juice that incorporates the benefits of spinach in the raw. Another cruciferous vegetable rich in compounds protective against cancer, Brussels sprouts have been shown to increase levels of a detox enzyme in the colon and lower risks of colorectal cancer. Brussels sprouts are also high in folate and vitamin C, which are best absorbed when eaten raw. Although roasted Brussels sprouts are hard to turn away from, raw Brussels sprouts can be just as tasty—you won’t know until you try it! Try this: Simply chop your Brussels sprouts and toss with olive oil, lemon juice, salt, and pepper for a delicious and healthy salad or side dish. Bok choy is a type of Chinese cabbage and is another cancer-fighting member of the cruciferous family. The U.S. Center for Disease Control and Prevention also ranked bok choy second out of 41 powerhouse fruits and vegetables for nutrient density. Try this: To enjoy bok choy raw, simply chop it up and add to your favourite salad or toss in dressing on its own. So which are the healthiest vegetables? It’s hard to make a “wrong” choice when it comes to veggies, and certainly you’ll get a variety of answers depending on who you ask. But based on research, broccoli, spinach, and kale consistently get top marks. They’re chock-full of nutritional goodness and are especially good sources of folic acid and magnesium (key nutrients particularly for pregnant women). Folic acid is needed to help support our hormonal health and also aids the production of serotonin and dopamine, which keep us feeling good. Greens also contain B vitamins, needed throughout the brain for a variety of functions. What we put on our plate plays a major role in keeping us healthy. And, as we know, veggies should have a featured role. The healthiest vegetables provide immense benefits. They contain most of the vitamins and minerals our bodies need to function properly, for example, and they’re also high in fiber and low in calories. 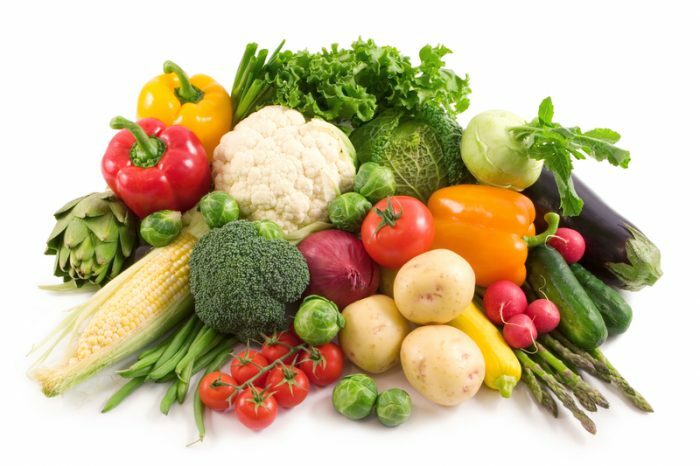 To get the maximum benefits from vegetables, include different types—like non-starchy varieties, vegetables that are high in fiber content, and those that are known to strengthen our immune system and help fight disease, including cancer. How Many Servings of Fruits and Vegetables Do You Really Need? 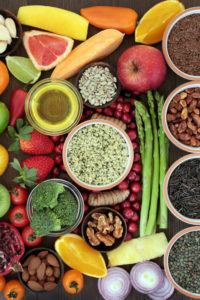 add, antioxidants, are frozen vegetables healthy, b vitamins, beta carotene, bloating, brain, breakfast, calcium, calories, cancer, carotenoids, colorectal, colorectal cancer, complete nutrition, cooking, cruciferous vegetables, diet, dopamine, eye diseases, fiber, folate, food, foods to avoid, gastritis, gastritis diet, glucosinolates, health, healthiest vegetables, immune system, inflammation, iron, kale, lung cancer, magnesium, muscle, niacin, nitrate, nutrient density, nutrients, nutrition, nutritional value, potassium, potatoes, serotonin, serotonin and dopamine, spinach, strength, symptoms of gastritis, vegetables, vitamin, vitamin b6, vitamin c, vitamins, vitamins and minerals. Hi Jon, thank you for pointing out that error. It’s been corrected.